Confused about how to implement the new California sick pay legislation? 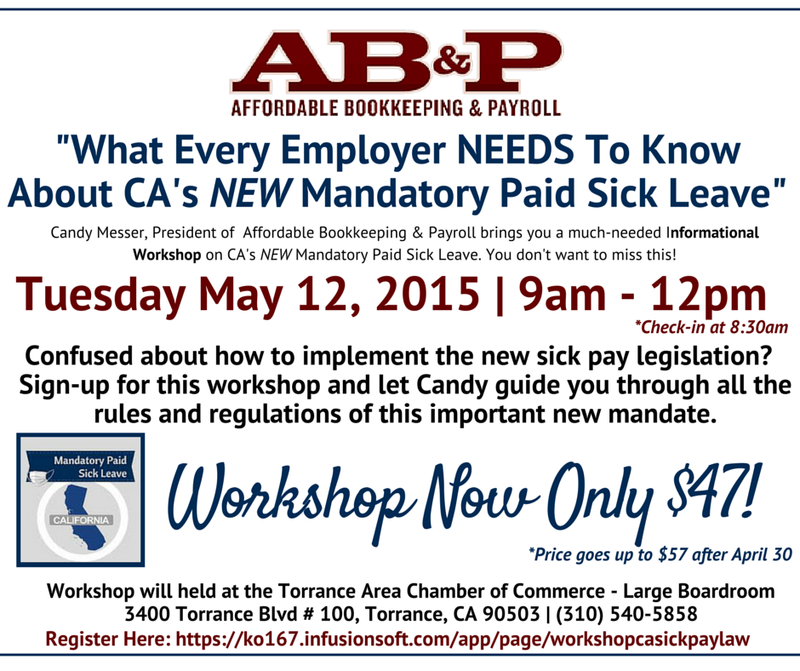 Candy Messer, President of Affordable Bookkeeping & Payroll, will guide you through all the rules and regulations of this important new state mandate on Tuesday, May 12th, 2015 in Torrance, CA. What employers are subject to this law? When can an employee use sick pay? Can the sick pay be cashed out at the end of the year? You won’t be disappointed! Make sure to sign up and hear what knowledge Candy has to share.